Dr. Nikhil "Nic" Joshi had it all-marriage, career, purpose-until, while working for Doctors without Borders in a Mumbai slum, his wife, Jen, discovered a black market organ-transplant ring. Before she could expose the truth, Jen was killed. Two years after the tragedy, Nic is a cruise ship doctor who spends his days treating seasickness and sunburn and his nights in a boozy haze. On one of those blurry evenings on deck, Nic meets a woman who makes a startling claim: she received Jen's heart in a transplant and has a message for him. Nic wants to discount Jess Koirala's story as absurd, but there is something about her reckless desperation that resonates despite his doubts. Jess has spent years working her way out of a nightmarish life in Calcutta and into a respectable Bollywood dance troupe. Now she faces losing the one thing that matters-her young son. She needs to uncover the secrets Jen risked everything for; but the unforeseen bond that results between her and Nic is both a lifeline and a perilous complication. 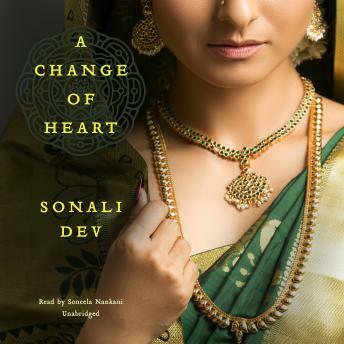 Delving beyond the surface of modern Indian-American life, acclaimed author Sonali Dev's page-turning novel is both riveting and emotionally rewarding-an extraordinary story of human connection, bravery, and hope.